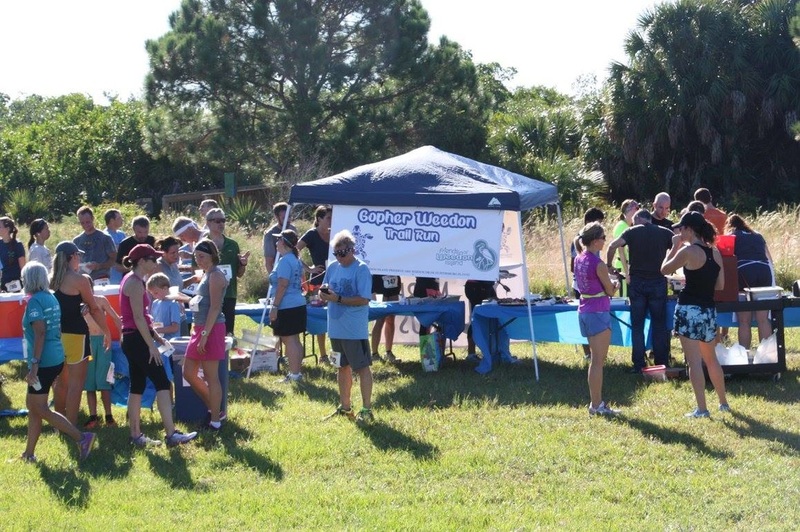 This trail race takes place inside the Weedon Island Preserve, a 3,100 acre nature preserve along Tampa Bay. 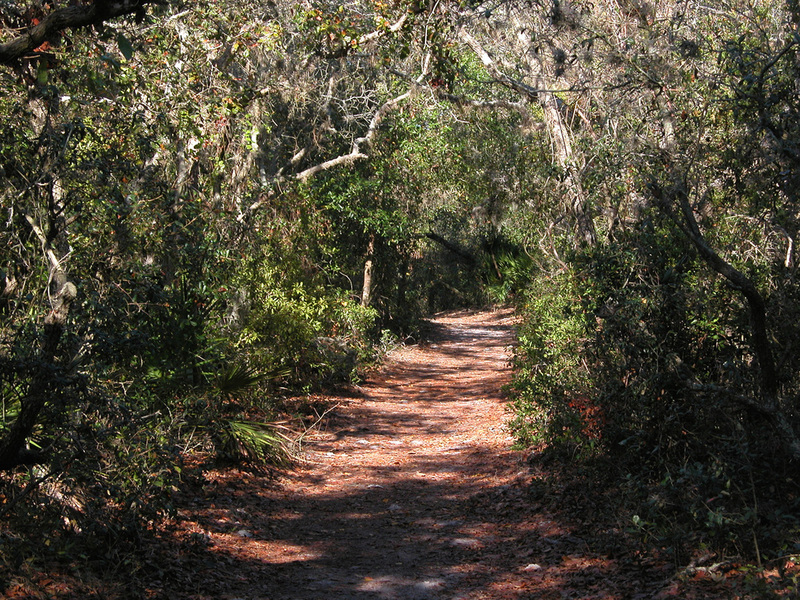 You'll run through mangroves, salt marsh and Florida scrub habitat. 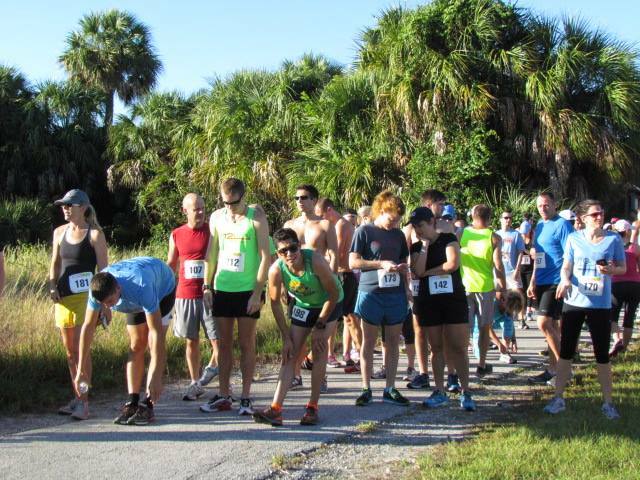 The race is produced by the Friends of Weedon Island and all proceeds are used for environmental restoration, and education. 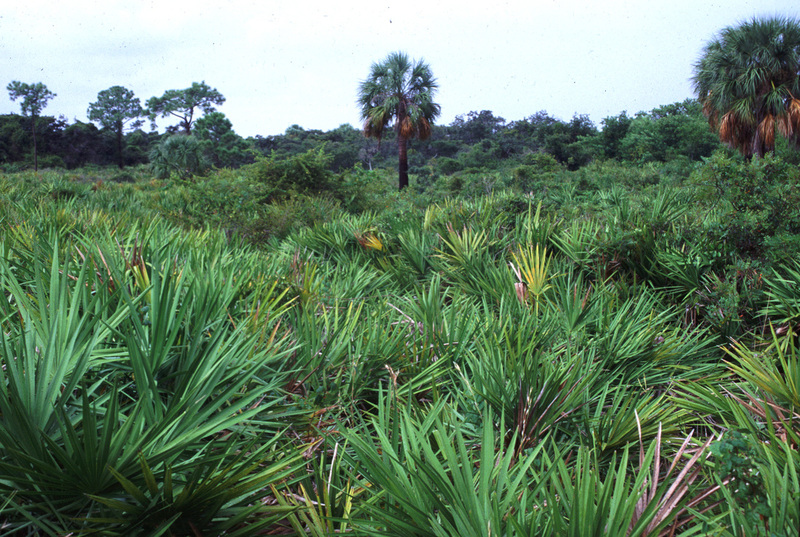 Weedon Island has a variety of micro climates. Packet Pickup: Yes. Local pickup at the Fit2Run store in downtown St. Petersburg the evening before the race. 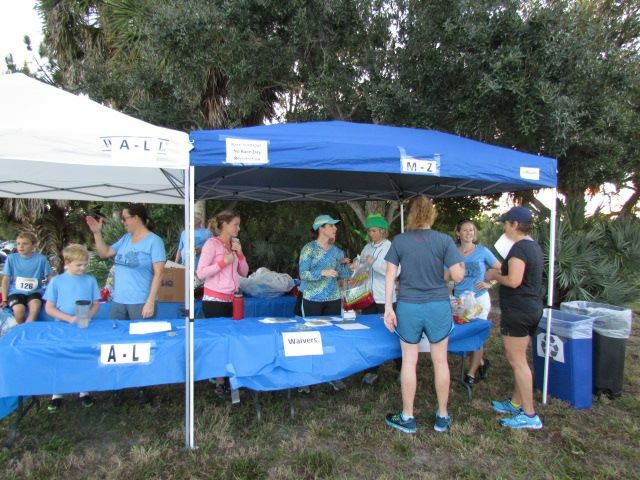 Packet pickup available on race morning. No expo. 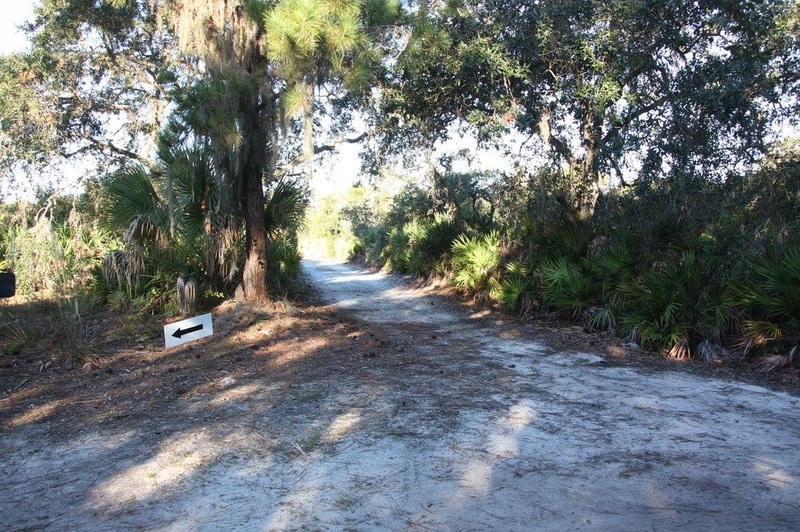 Race Course: The course is paved, dirt and sand trails, and boardwalks. The race starts near the Cultural and History Center parking lot, then follows the trails around the park. Aid Stations: Not on trail. Plenty of food and water at the end of race. Parking: Easy and free in education center parking lot. Arrive early for the best spot. You may have to park away from the start line, but you'll find a spot. Restrooms: The Cultural and History Center has nice bathrooms available to runners before and after the race. Cost: 8K $30. This race has limited entries because it's run on the nature trails. If you want to experience it, register early. They sell out. SWAG (Stuff we all get): Short sleeve tech race shirt and bib. Ladies shirt is v-neck. Mens is traditional round neckline. Happy Surprise: You have to run up a 3-story observation deck and ring the bell. 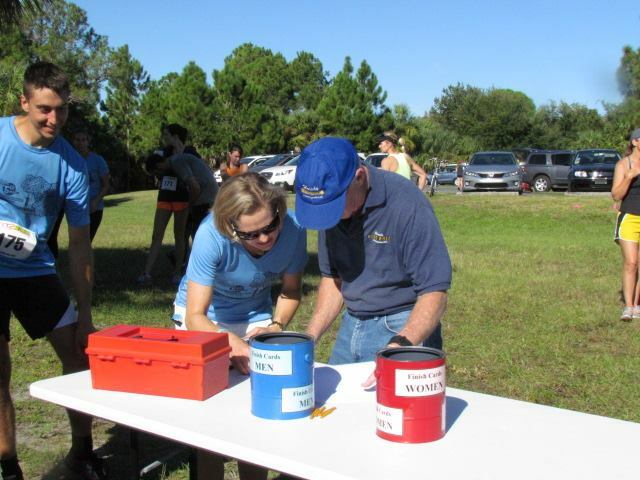 Friendly volunteers were sprinkled throughout the course giving directions, and encouragement. Post Race Festivities: Post race food is from local restaurants. Award presentations are given in each category. The party takes place next to the finish line. Runners can lounge in the grass, or rest in the shade. Everyone is encouraged to visit the Cultural and History Center after the race. Photos: Yes. 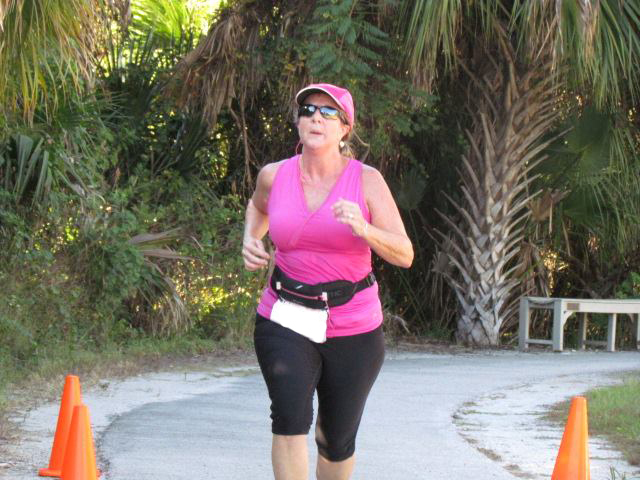 I believe volunteers took all the race photos. The pictures were wonderful! 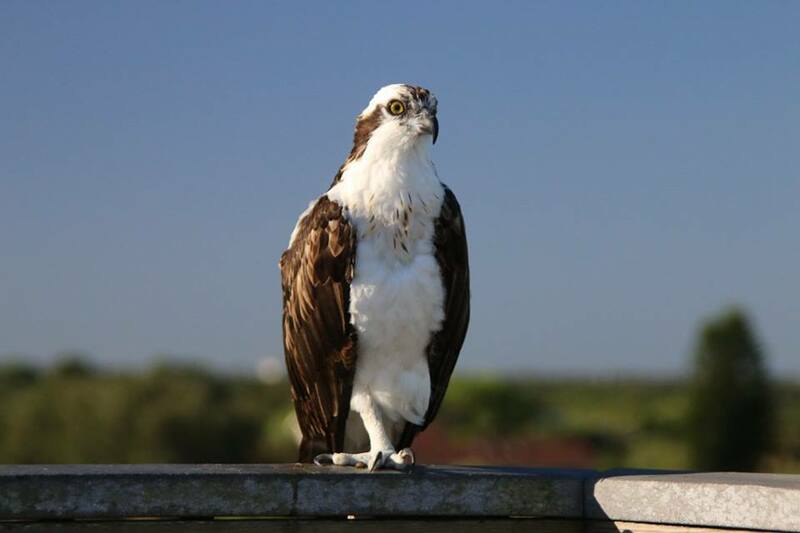 They were posted on the Friends of Weedon Island Facebook page in mid-November. No notification, so watch the Facebook page for updates and info. Awards: No medals. Prizes were given 3 deep in each age category. Timing Chip: No. There is a digital display at the finish line. Runners write down their time on a paper record with name and bib number. Winners are tallied manually. Weather Report: Early October in Florida can be hot. It was 72º at the 9 am start. -> Sunny with no clouds. -> Temps were high 70s at finish. Extra Info: Watch your step. Parts of the course are paved or boardwalk, but a lot of it is dirt and sand. There were tree roots and other natural obstacles. Trail shoes were helpful. 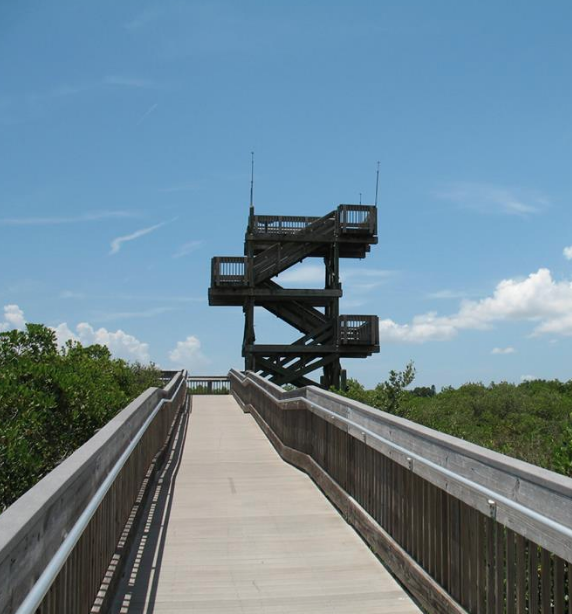 Here's a map of all the Weedon Island Preserve trails. Ugh! Boardwalks were nice, except we were approaching the climb to the top of the bell tower. Making my way to the finish line after climbing the observation tower. Whew! I've been wanting to try a trail run, and this event seemed like a good introduction to running a race on dirt and sandy trails. 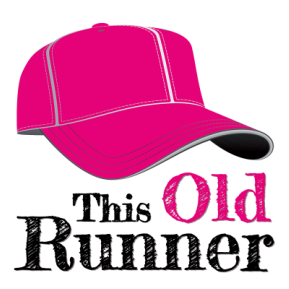 You can read my full race recap here.